Compassion has long been considered an essential part of chaplain care and practice. Understanding how compassion is both distinct from and congruent with sympathy and empathy, and parsing their often overlapping use in medical literature, can be challenges facing the researcher and the professional chaplain. In this webinar we discuss advanced cancer patients? understandings, experiences, and preferences around ?compassion?, ?empathy?, and ?sympathy? 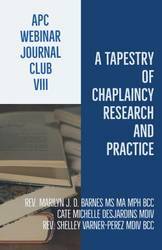 in order to explore both clinical implications and how greater conceptual clarity can aid in chaplaincy research. In the paper we will discuss patients described sympathy as an unwanted, provider-focused response to suffering, empathy as an attempt to understand another?s suffering, and compassion as an enhanced and desired form of empathy motivated by altruism. The authors report that patient?s prefer compassion over both empathy and sympathy, and although these concepts can be interrelated patients experience them as distinct and unique from one another. To become familiar with adult palliative patients? understanding of ?sympathy,? ?empathy,? and ?compassion? and how these concepts can be both distinct and interrelated. To examine patient preferences in regard to these concepts as practiced by providers. 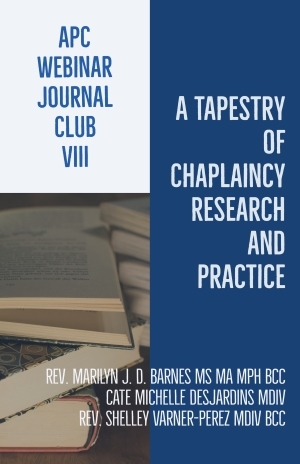 To help chaplains develop and maintain research literacy, including the ability to critically read a qualitative paper using grounded-theory methodology and, where appropriate, apply the findings to their professional practice.